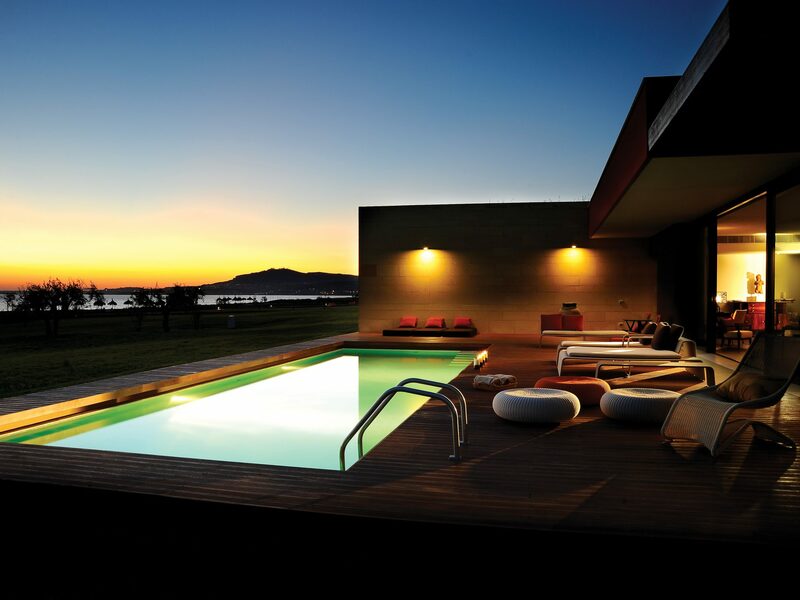 If you want to hold onto that Summer feeling once the temperature goes down in the UK, then Verdura Resort has the solution. The temperature in Sicily during the day in the month of October averages between 21-24 degrees, so you can still feel that sunny glow while not feeling the peak season crowds. Even better, the Verdura Resort is open during this time, so you will have somewhere to stay which has virtually endless facilities to keep you occupied. Have you always wondered how to make Italian dishes like we do? At Verdura Resort you can discover the secrets of the Sicilian cuisine by authentic chefs, who will teach you how to prepare delicious typical Sicilian dishes and of course how to make authentic Italian pizza and pasta. But that’s not all, you will also learn to taste and recognise the best regional wines with expert sommeliers. The suggestive grounds of Verdura Resort are home to beautiful olive groves. This unique rural environment offers the opportunity to participate in the centennial ritual of olive harvesting; a forgotten practice for many that will make you fall even more in love with Sicily. During this activity you can enjoy the harvest and then extract oil in a mill, participate in a cooking class with Chef Fulvio Pierangelini. Let yourself be seduced by this fantastic experience that makes you the protagonist and offers you true culinary secrets. Do you want to learn to create classic cocktails but with a different and creative touch? Would you like to learn how to mix a Sicilian Mojito? In Verdura Resort you can make your own cocktails with the Mixologist. Available every day, all year. Reservation required. The Sicilian cuisine is very tasty and complex. It is possible to find recipes for fish, meat and vegetables and obviously sweets and ice-cream. From Greeks to Spaniards through Romans and Arabs, all have contributed directly or indirectly to modelling the Sicilian Cuisine. All cooking classes at the Verdura Resort focus on making typical dishes of the region. You will learn how to make chocolate, homemade pasta, pizza, Sicilian caponata and famous Sicilian pastry. You will be able to access the classes every day, all year round, with a reservation for at least two people. For young players who want to play football on their vacation, the Verdura Resort offers the opportunity to enjoy the Juventus Training Experience Soccer Academy. For the little ones who love being in the water, they will be able to enjoy (under the attention of expert instructors) the Swimming Academies for Children. Also tennis lovers can practice their favourite sport in the multiple tennis courts that the Resort offers. Finally, golf players can continue training in an 18-hole course in a unique environment. The Verdura Resort has a Rugby academy where everyone can play. In this academy, five values ​​are emphasized: Teamwork, Respect, Enjoyment, Discipline and Sportsmanship. The activities in the Rugby Academy will be guided by Italian stars of this sport during the October UK half term and each class will be carefully designed to satisfy all groups and levels; team tactics, tackles and kicks will be included. Available with Gregorio Rebecchini, from October 20 to 28. The Olympic sport Fencing is practiced at the Verdura Resort. This sport gathers three combat disciplines that are: the foil, the saber and the bulrush. Fencing is a sport that everyone can practice; it increases speed, resistance and improves reflexes, it also reduces stress and increases mental agility and self-control. Lia, a national and international athlete of this sport, will be the one who organizes and explains the secrets of fencing. The Tennis Academy at Verdura is open to players of all ages and abilities. Classes and courses can be in groups or individuals allowing you to play with family and friends if you wish. The instructors will be attentive to teach you all the secrets of tennis and the styles of champions like Nadal and Federer. Play tournaments and events with famous ex-Tennis professionals. The Verdura Water Sports Club located on the beach, offers a wide range of equipment, activities and courses for its guests. Have fun with windsurfing, sailing, surfing, flyboarding, water skiing, and much more. There is also the possibility of enjoying excursions, a trip in Verdura’s boat to Salsa Tower, Scala dei Turchi, Capo Bianco or even Sciacca. Go fishing, stop to snorkel or enjoy a sunset picnic. Available daily, from May to October. Reservation required. 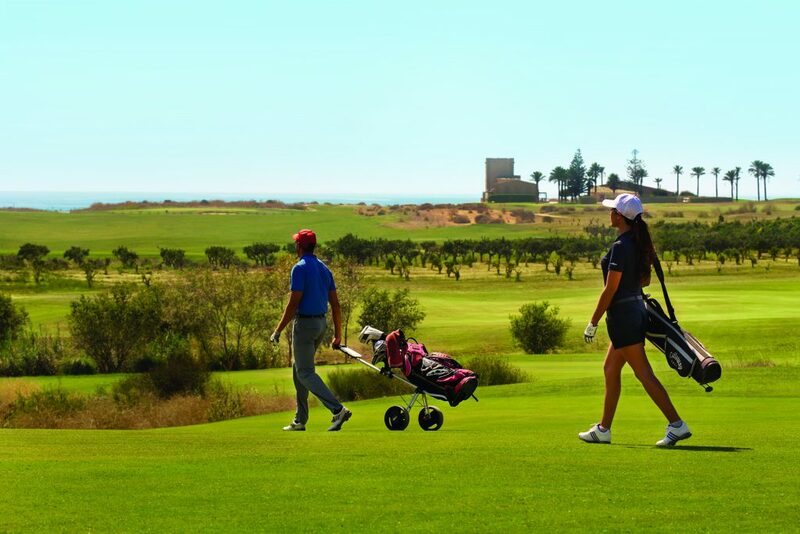 At Verdura you can enjoy golf courses run by professionals qualified by PGA. The Golf Academy is open to all its guests regardless of their experience. There are tailor-made courses for anyone who wants to improve their level or want to play for the first time. The Verdura Resort has an 18-hole golf course next to the sea and the best facilities that offer a high precision golf experience. For children there is the Junior Academy, where they will learn all the necessary skills such as: full swing, short game, putting, bunker play etc. The instructor Giacomo Dovetta, certified teacher and recognized as one of the best 50 youth coaches in the world by the US Kids Golf will guide you in the world of golf. Available weekly, all year round. Reservation required. Verdura’s programme of well-being-enhancing activities aims to nourish the mind, body and spirit. Yoga at the Verdura Resort cannot be missed, a millenarian discipline which dates back to 3000-1800 B.C., Yoga offers the challenge of keeping the body, mind and spirit in balance. This practice also brings physical improvements such as increased flexibility, fat burning and improved muscle tone. You can take yoga classes in the complex both indoors and outdoors. Available weekly, from May to October. Reservation Required. Pilates is a discipline developed at the beginning of the 20th century and it combines exercise with physical movement. Influenced by disciplines such as yoga and Do-In, Pilates is based on six principles: concentration, control, power, fluency, precision and breathing. Like other similar disciplines it helps improve flexibility, develop strength and to developed control and endurance throughout the body. Staying at the Resort Verdura you can also enjoy incredible trekking routes both inside and outside the enclosure to offer different levels of difficulty, length and terrain. All designed so that anyone regardless of their physical condition and experience can enjoy being at one with nature. To stay at the Verdura Resort during October, either request a quote for a tailor-made holiday or give our specialist team a call on 0208 973 2292!